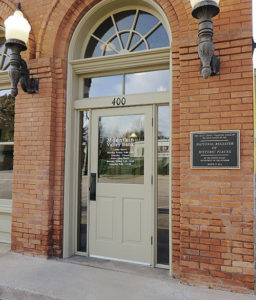 The front door of Mountain Valley Bank and a plaque denoting that the building is listed on the National Register of Historic Places. The present occupant is Mountain Valley Bank, but the old IOOF Building in downtown Meeker will turn 118 years old on May 1 while the bank celebrates with an open house on Friday to mark the first anniversary of being listed on the National Register of Historic Places. See more on Page 7A. MEEKER I The building that now houses Mountain Valley Bank in Meeker has a long and colorful past, having started out as the home of the Independent Order of Odd Fellows Lodge, Valentine Lodge No. 47. Now, 118 years later, it serves as the home of the bank. It had several other identities between times. Located at 400 Main St. in Meeker, the building will celebrate its 118th birthday on May 1, but on Friday, the bank will celebrate its first full year of being listed on the National Register of Historic Places and the bank will hold an open house to celebrate its “Red Letter Day” of the anniversary, bank President Tawny Halandras has announced. 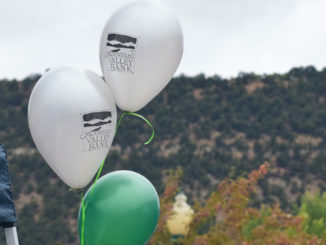 The open house will run from 9 a.m. to 5 p.m on Friday, and the public is invited to drop in and see some of the historic photos and displays inside the bank, she said. The 1896 IOOF Lodge—Valentine Lodge No. 47—is a two-story masonry building with a one-story portion at the rear, according to the summary submitted by Halandras as part of the package to nominate the building for inclusion on the National Register. It was one of the first two-story brick buildings in the burgeoning town of Meeker around the turn of the 20th century, in the midst of transforming from a small ranching supply store and military post to the major supply center for all of northwestern Colorado. In 1885, Meeker became the only incorporated town in northwestern Colorado, and maintained that status for more than 20 years. The building served as the IOOF Lodge for nearly 100 years with a commercial business on the lower level and a community room in the rear one-story section. “Throughout its history, it has been used by the community, not only by IOOF members but by other organizations, clubs and even as classrooms when the nearby schools could not be used. The local telephone company occupied the building for a time as did the Rio Blanco County offices. After the Meeker IOOF Lodge discontinued its charter in 1993, the lodge space was used as a private residence. The building has also carried the names of Rooney’s Hall and the Star Theater during its time. 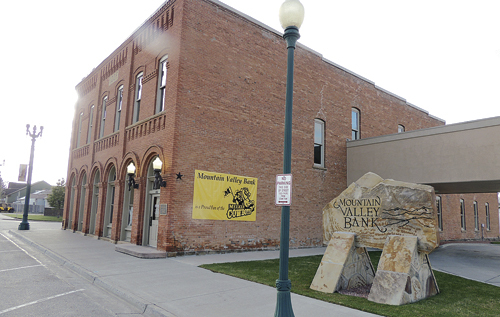 In 2004, Mountain Valley Bank purchased the building and began restoring the building and rehabilitating it for use as a bank on the first floor and storage on the second floor. The original meeting space in the one-story section still is a commonly used site for community meetings, having hosted a town meeting with incumbent Gov. John Hickenlooper just prior to the November 2014 elections. At an unknown date but during the first part of the 20th Century, the IOOF added interior plumbing and two bathrooms on the second floor. Circa 1960s it also added a suspended ceiling in the second floor kitchen area. The building’s design, in the late 19th and early 20th century Revival style remains intact. Its principal materials are preset and unobscured, including the original oak hardwood floors, dumb waiter and staircase, original front double-entry doors, door and window openings, original wainscoting and chair rail. Herman Pfeiffer was the architect of the building with John Rourke being the brick contractor, J.H. Bard in charge of foundation supervision, E.D. Hayden as stone-master mechanic and Harry Niblock in charge of the woodwork. The IOOF provided a social outlet for citizens in and ranchers near the small town of Meeker, and its members were supplied with insurance that medical assistance was available in the event of injury, and in the event of death, burial and survivor benefits were available. The McHatton adobe was the former military barracks building. The IOOF was completed in 1897 and the grand opening was held April 26, 1897, to coincide with the date of the North American Odd Fellows founding, 78 years earlier on April 26. For the dedication and grand opening, the lodge planned a community parade and an evening ball to which the public was invited. As a point of note, alcohol was not permitted in the building. However, it was not unheard of that folks attending events from the 1940s to 1960s would slip out the side door to enjoy alcoholic beverages in their cars. Halandras wrote that several local gentlemen recently interviewed remembered watching fighting and ruckus in the alley behind the building during events. The IOOF also had a drama club and a women’s group called the Josepine Rebekah Lodge (The Ladies Auxiliary to the IOOF), both of which produced plays as fundraisers. The Meeker Herald reported in its Dec. 25, 1897, issue the performance of “Ragged Jack the Vagabond,” complete with a new orchestra. These performances continued through the 1960s. The IOOF origins date to 1745 in Manchester, England, with a group of working class individuals joining together to assist others calling themselves Manchester Unit. The concept of working class men joining forces for fellowship and mutual aid contradicted cultural practices of the time to the extent that the group was often deemed peculiar or odd. The IOOF, known as the Three Link Fraternity for its motto of “Friendship, Love and Truth,” did not organize in North America until 1819 in Baltimore, Md. On Dec. 2, 1993, the IOOF Lodge—Valentine Lodge No. 47—surrendered its charter. The active charter was cancelled and returned to The Grand Lodge. The original charter was placed in the White River Museum in Meeker, and all other records were taken to The Grand Lodge office by William Campton, PGM, secretary of the lodge. The Ruckman family rented the entire second floor as a private residence and the first floor remained vacant due to disrepair and the need for substantial work. 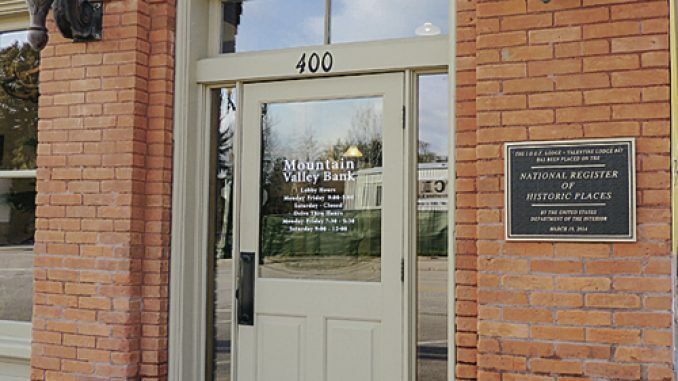 In 2004, a banking company purchased the building with the vision of revitalizing it and creating what is now Mountain Valley Bank. Meanwhile, the White River Museum has recently loaned the original IOOF charter to the Mountain Valley Bank (IOOF Building) to display in the bank’s lobby, where it is now and where it serves its purpose of letting the public know why and how it all began. 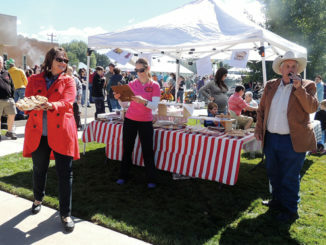 MEEKER I Downtown Meeker will be abuzz from early morning to mid afternoon on Saturday with the 11th annual Mountain Valley Bank Fall Festival.